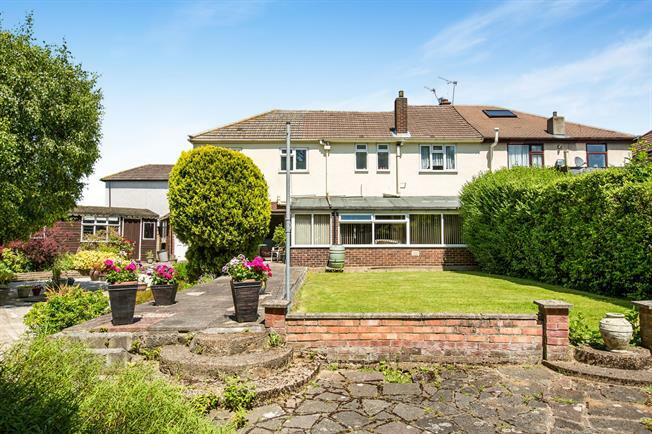 4 Bedroom Semi Detached House For Sale in Romford for Guide Price £550,000. Being sold with NO ONWARD CHAIN this enlarged home has a southerly facing rear garden and is situated in a cul de sac location. The living accommodation comprises a lounge, kitchen and sun room. Leading from the sun room is a porch which in turn leads to a further reception room and a second stair case to the first floor. The aforementioned first floor has four bedrooms and two bathrooms. Externally the property benefits with its own driveway to a garage measuring 16'3 x 8'4. There is also a workshop and the garden gives a feel of being un overlooked measures 80' max x 80' max. Early viewings are a must!